Do you remember Streetmate? That thing with Davina Mccall terrorising innocent people and trying to get them to cop off with other equally innocent strangers out doing their Saturday shopping? 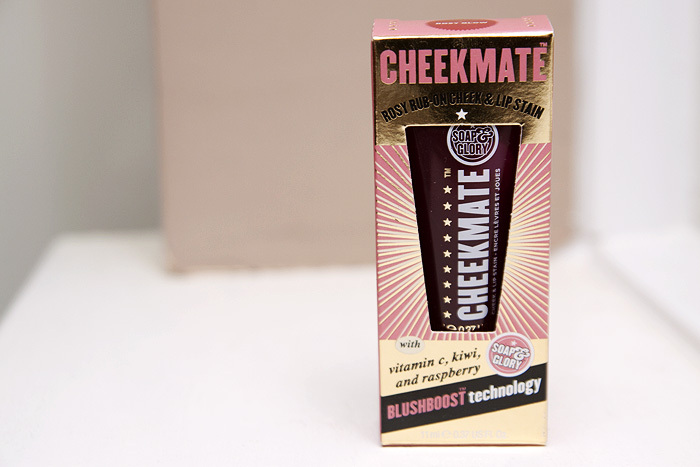 Well, Soap & Glory’s Cheekmate has absolutely nothing to do with that, sorry. 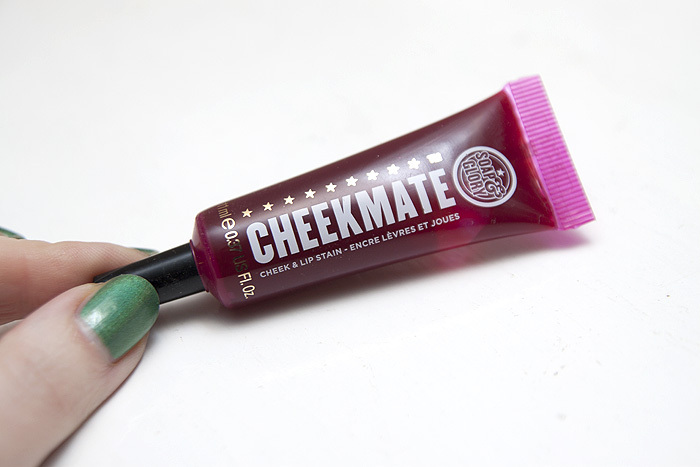 Cheekmate* is a new gel blusher from the British brand best-known for their cheeky one-liners and ever-popular bodycare products. I received a sample from their cosmetics launch which I was unable to attend and it arrived in the shape of this unassuming tube of red liqui-blush. Easy to dispense and a little goes a very long way! It imparts a nice rosy glow which blends well into moisturised skin. Definitely apply this before any powder products and my top tip would be to apply before foundation too as inevitably, you’ll want to tone down the clown cheeks just a touch before venturing outside the front door. Or perhaps that’s just me. I love the translucency of the product that allows it to appear more of a flush across the cheeks as opposed to something that’s been painted on. I would love to see this available in a peachier shade too. As for use on the lips, I don’t recommend it because it tastes, frankly revolting until it sets dry. 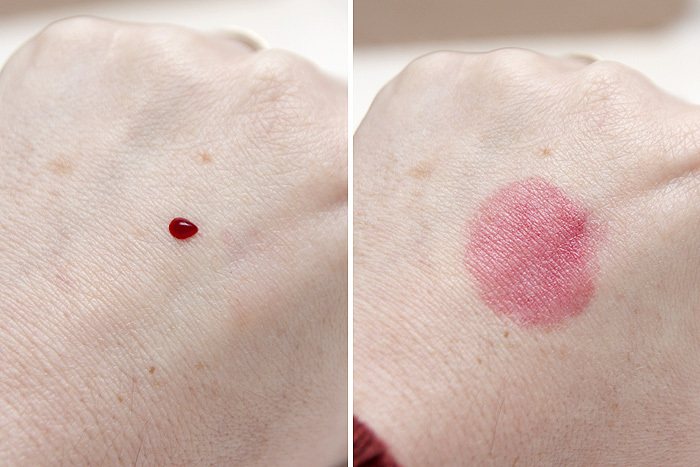 I would never reach for this to use on my lips over a simple swipe of coloured balm as a less-drying alternative. 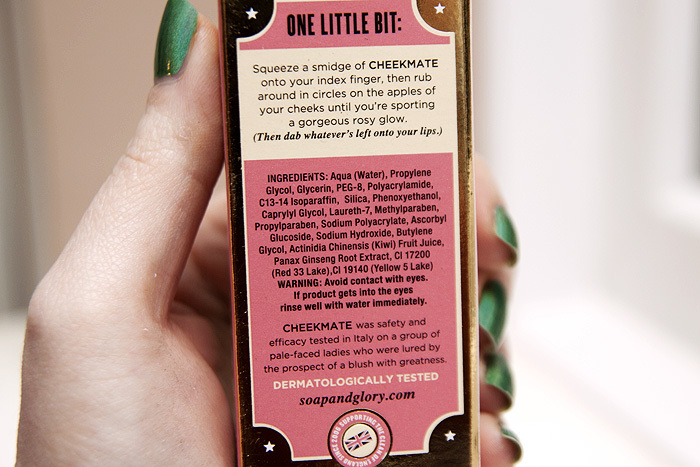 A final point to note about Soap & Glory’s Cheekmate is that this stuff STAINS. 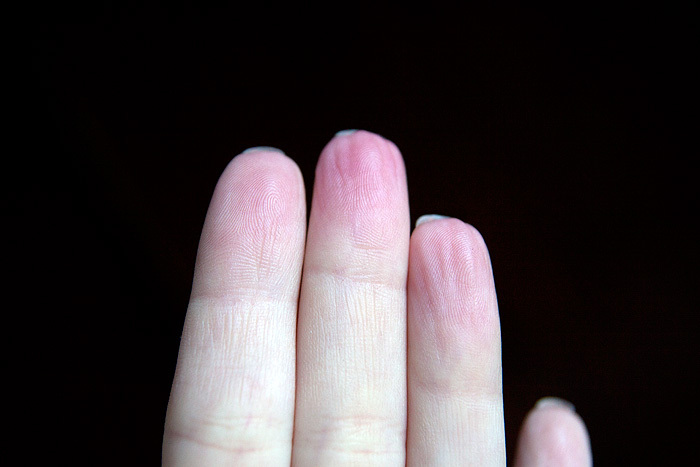 The above photo shows my fingers after washing my hands. This obviously means that the product sets and stays in place on my cheeks for most of the day but it also renders my fingertips unsightly. A little thing, but worth noting. Might try this! I wonder if it could be applied with the Daniel Sander cheek brush? and I remember Street mate! It was terrible…. This looks cool, but I can’t do anything with cheeks…I just look like a clown, lol! On a side note, is that Nubar Reclaim you’re wearing in the photos? 😉 It looks awesome! I used to love watching Streetmate when I got in from the pub. Ah memories. Although the stain is pretty I’m loving the nail varnish! What shade is it? Stop ruining my future NOTDs!!! 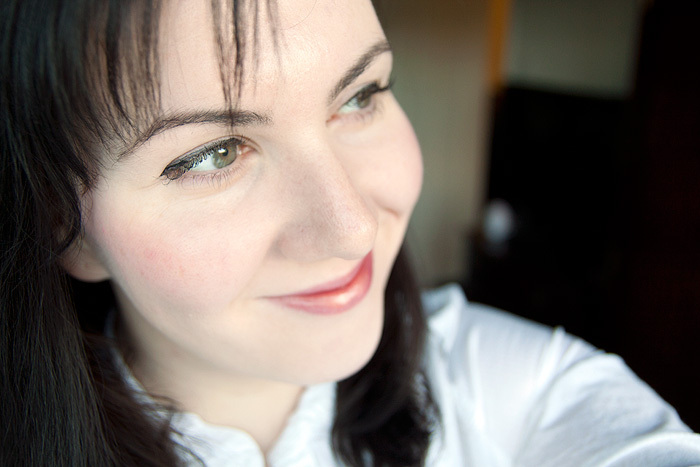 Although, I find the idea of blusher before foundation very strange. Not sure I’d be able to mix up my routine like that!